The Apexis empire collapsed in one violent, earth-shattering moment with the detonation of the Breath of Rukhmar. The great spire that once pierced the skies of Arak had been splintered into pieces by the force of the explosion. In the centuries that followed, survivors of the horrific civil war traveled across the land, taking the Apexis crystals, and the precious knowledge they contained, with them. But the Arakkoa weren’t the only sentient creatures on Draenor – the descendants of Grond were still forces to be reckoned with. While the mighty gronn did little more than roam the land, smaller descendants began to build societies of their own. Their intelligence was nothing compared to the clever Arakkoa, but the Ogron learned that working together meant strength in numbers. Strength in numbers meant an easier time defeating any rivals that might pop up. 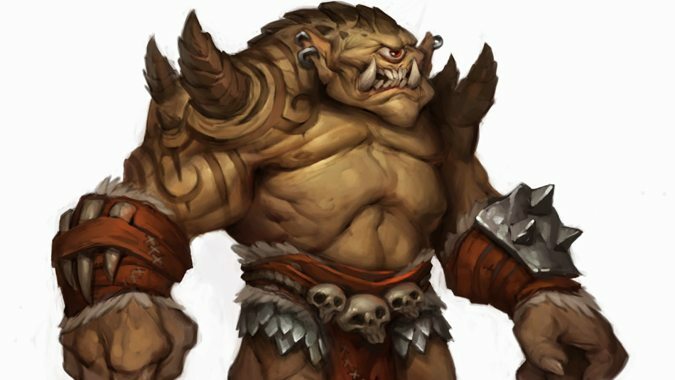 Strength in sheer size meant that they could easily enslave other, smaller races and force them into servitude – smaller races like the Ogres. And far, far away from Ogron lands lived the Orcs. The smallest of Grond’s descendants, they were also the smartest. While they were nowhere near as strong as the Ogron, they knew enough to keep their distance and stay safely hidden away, mostly living underground. It was a meager existence – but it had freedom, which was worth far more in the long run. Eventually the remnants of the Skalaxi began traveling the land, looking for any Apexis crystals they could find. Some wanted power, others simply wanted to preserve the knowledge contained in the relics – and some even hoped that the lost empire of the Arakkoa could be rebuilt, one day. Yonzi, leader of the Skalaxi, discovered that caches of crystals were buried under the ruins of a former Apexis settlement in Talador – land now occupied by the Ogron. But the brutish Ogron weren’t about to vacate the lands, or hand over the crystals the Skalaxi were after. The Ogron slaves, however, were far more amenable, particularly if it meant their freedom were gained in return. 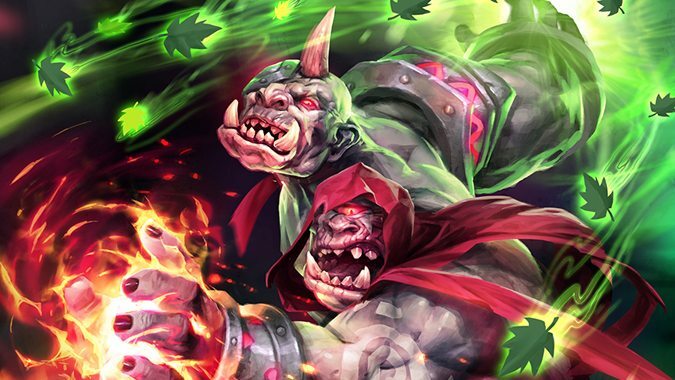 Working in secret, Arakkoa sorcerers began to teach the Ogres arcane magic, hoping for a revolt. What they discovered was astonishing – the Ogres were not only far more clever than their masters, as descendants of Grond, they were naturally attuned to the arcane. Not only that, they were able to use magic to easily shape and bend rock and stone. One of the first to master these arts was Gog – an Ogre the Skalaxi believed perfect for leading the rebellion they hoped to cultivate. Gog struck out to do battle, but he didn’t target the Ogron – he went after the gronn, and managed to single-handedly strike down one of the behemoths. Stories of his victory spread through the enslaved Ogres – and the next victory, and the next after that. And the whispers began – if the godlike gronn could be killed so easily by one of their own, why were the Ogres living in fear under the thumbs of the Ogron? When Gog returned to his people, he didn’t need to convince them to revolt – they were eager and ready to do so. 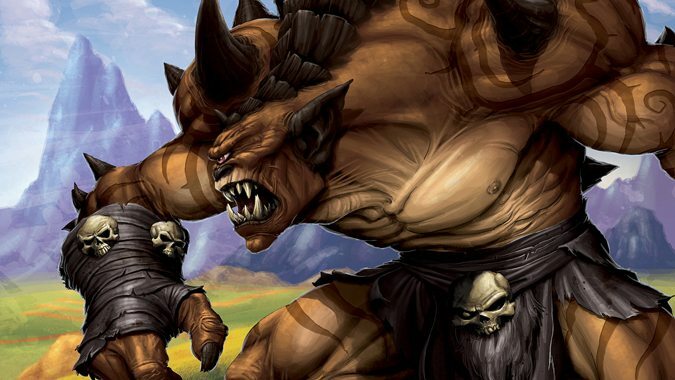 While the Arakkoa waited for the inevitable downfall, the Ogres rose up against their masters and slaughtered the majority of the Ogron without another thought. Pleased, the Skalaxi moved in to claim the Apexis relics and crystals they were after – only to find themselves confronted by Gog himself. Gog and his Ogre kin had paid for their freedom and the land in blood – and wanted to keep any potential sources of power close at hand. Declaring himself Gorgog – King Gog – he ordered Yonzi and the Skalaxi to leave the land on penalty of death. And they did – only to return in the dead of night and launch a sneak attack on the newly named city of Goria. It didn’t end well. Yonzi was captured, and his death was long, gruesome, and brutal. Tales of Yonzi’s death spread throughout the Arakkoa, and they avoided Gog’s lands. The Gorian Empire was born – focused not on conquest, but knowledge. This didn’t stop the Ogres from expanding their reach far and wide. They hunted gronn and Ogron alike – with arcane power at their fingertips, what need did they have for fear? Vast cities sprang up across the world – Highmaul, Bladespire Hold, and Goria itself. Elsewhere, no longer threatened by the Ogron or the gronn, the Orcs of Draenor emerged from their underground caverns and created settlements in the sun. The days of hiding, it seemed, were over. In a way, Draenor was almost a planetary version of Sholazar Basin or Un’goro Crater. It was an experiment crafted by Aggramar – one that was left to develop with no supervision or regulation. Magic on Draenor thrived not because it was an innate part of the planet, but because Aggramar’s great creation was crafted to utilize it. Grond’s descendants were of course gifted in its use – it was part of their blood. But Draenor would never have followed that peculiar evolutionary path if it didn’t possess the unnatural surplus of Spirit of Life that existed on the planet. With no world-soul to consume the Spirit, it instead passed on to Draenor’s flora and fauna, creating a template of exceptionally powerful creatures. Draenor was never home to a slumbering, would-be Titan – but the lack of a world-soul didn’t harm the planet. Instead, it made it thrive. Perhaps the land was untamed and wild, along with its denizens. But Draenor inadvertently gave forth to some of the most magically advanced species in the cosmos, even before the Draenei settled there. 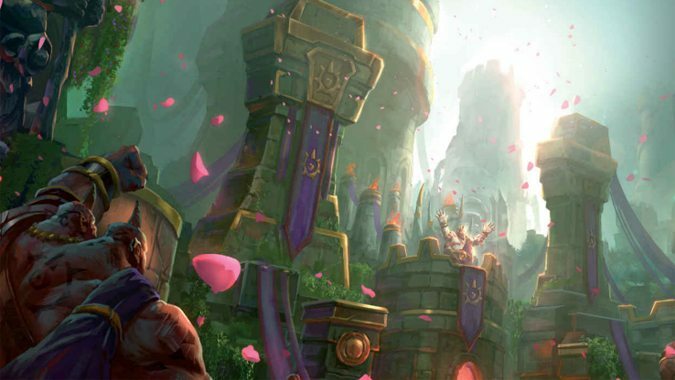 Between the raw power of the Apexis and the Gorian empires, it makes one wonder why Sargeras didn’t hunt down the world sooner – and what would’ve happened if he had. Next week, we’ll look at the evolution of Draenor’s smallest but most well-known residents, and how the elements of the world continued to shape Draenor’s destiny.